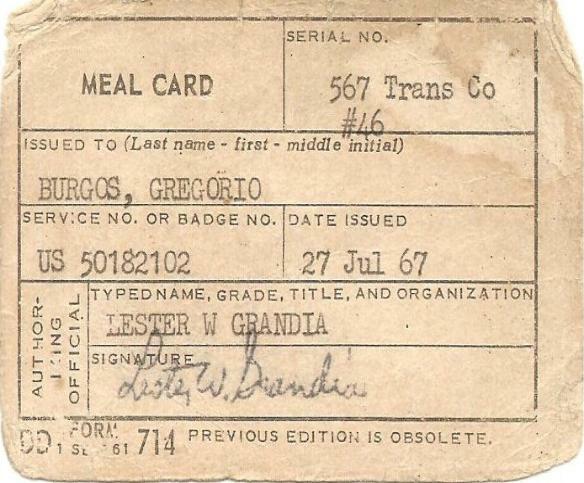 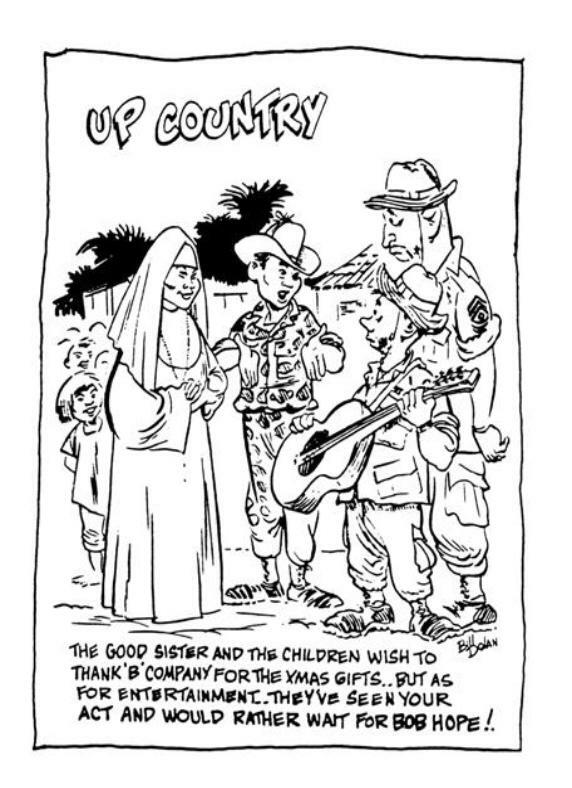 Memories From The 71st Trans Bn. 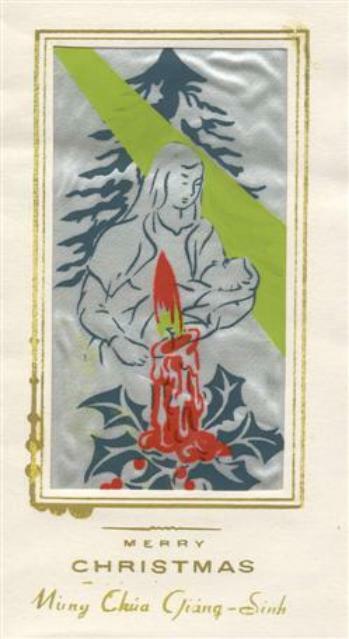 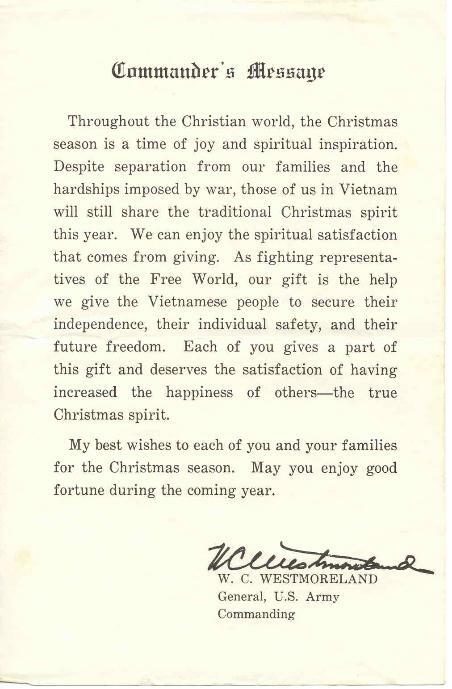 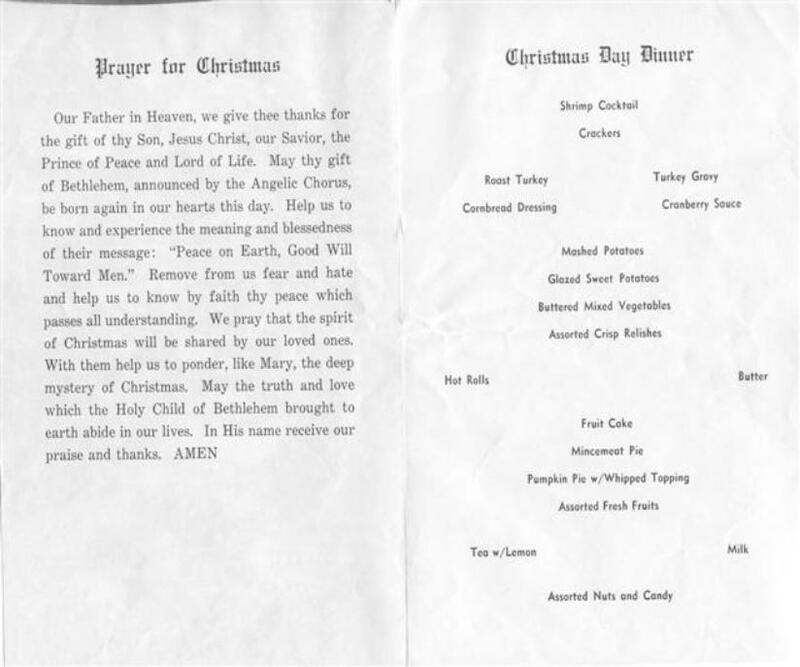 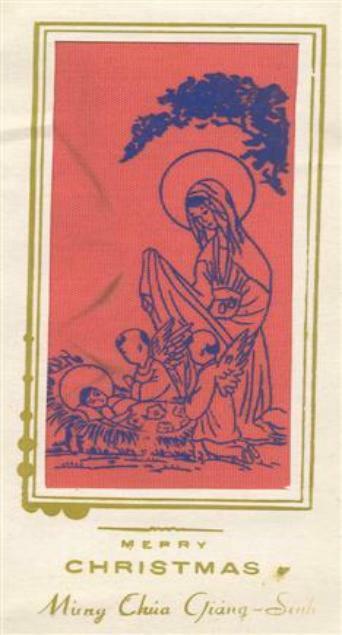 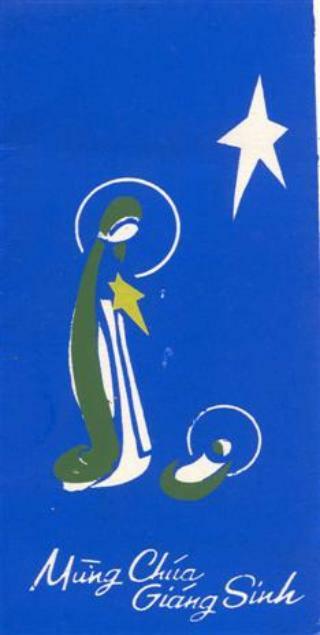 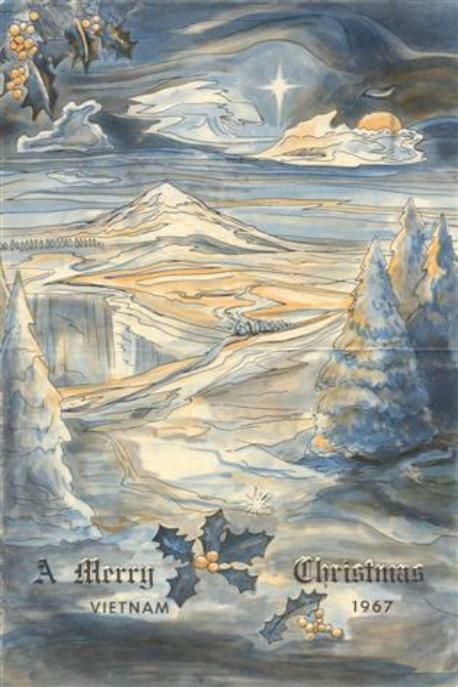 Below Are The Christmas And Thanksgiving Menus That Al Krabbenhoeft Saved From 1967 - They Are For Christmas And Thanksgiving Dinner From The Mess Hall At Camp Camelot. 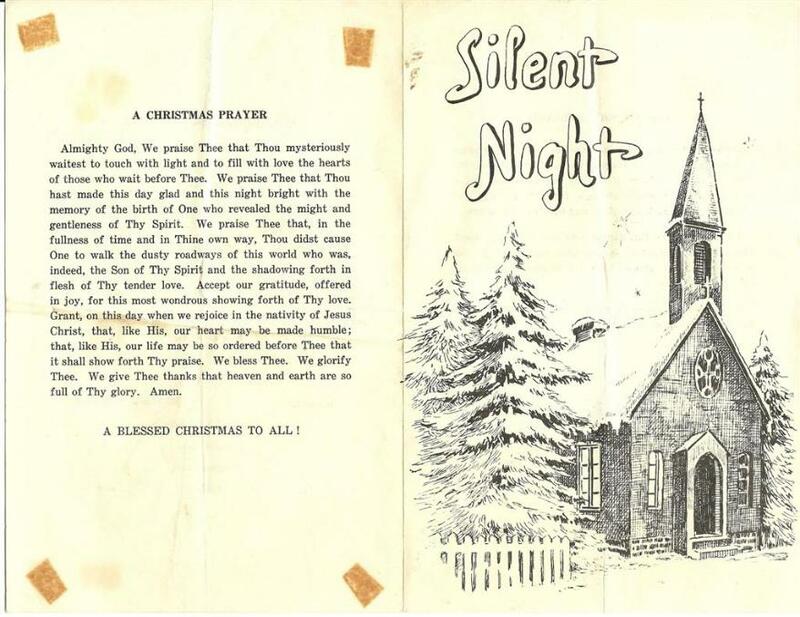 If you have anything you want to add to this page, please let me know. 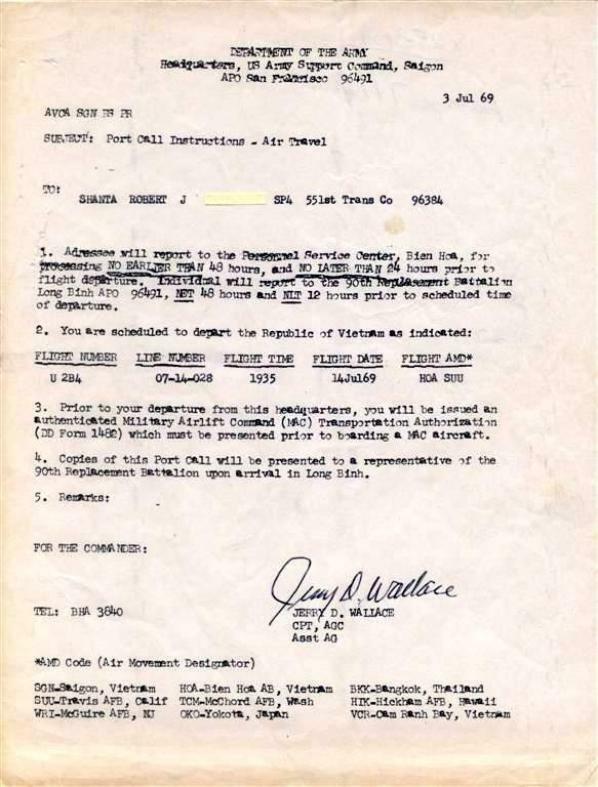 Email me from here. 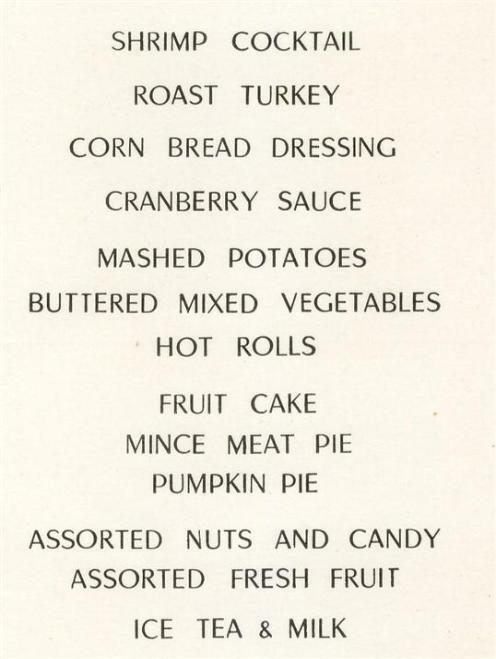 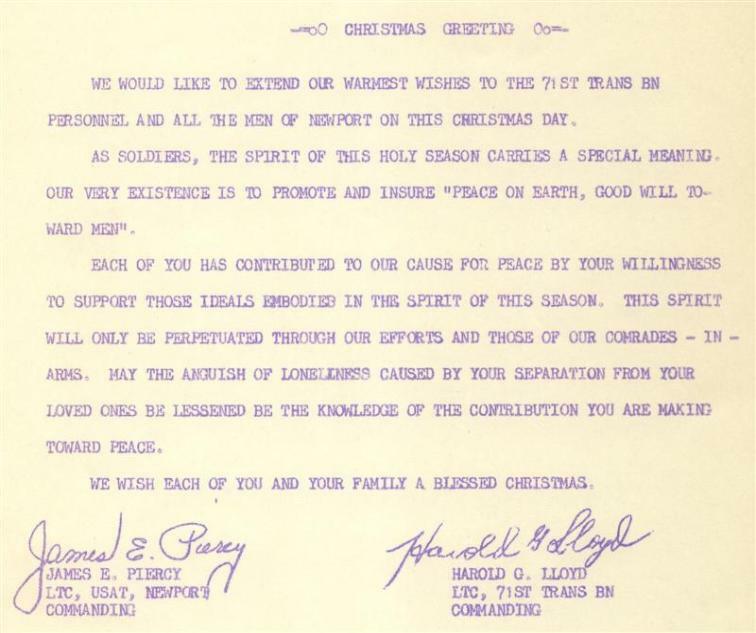 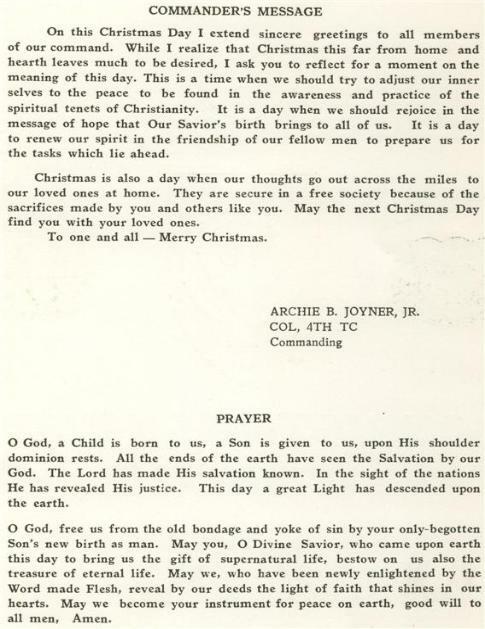 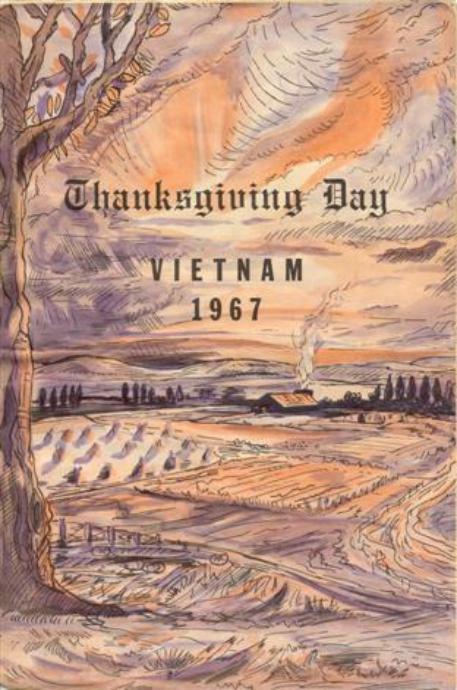 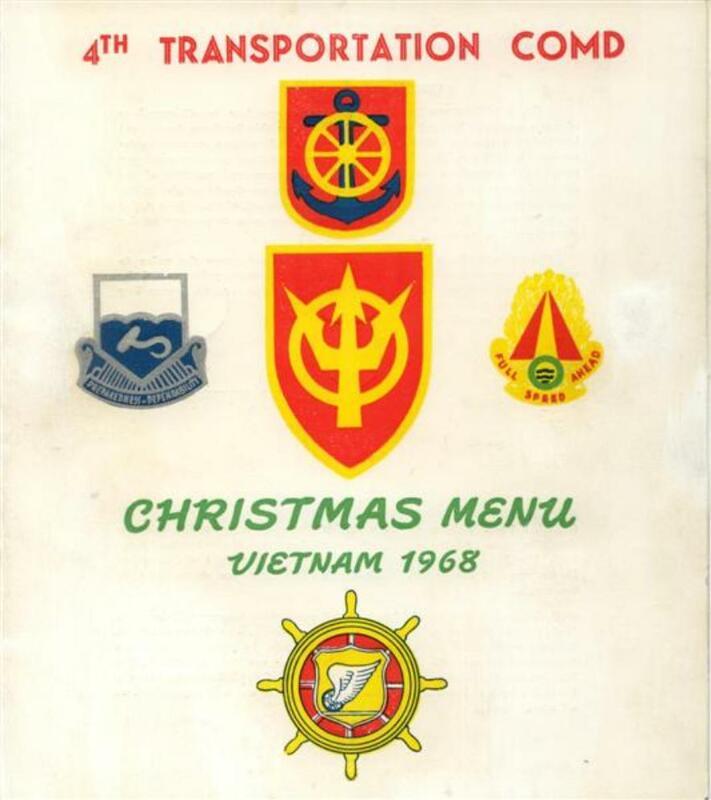 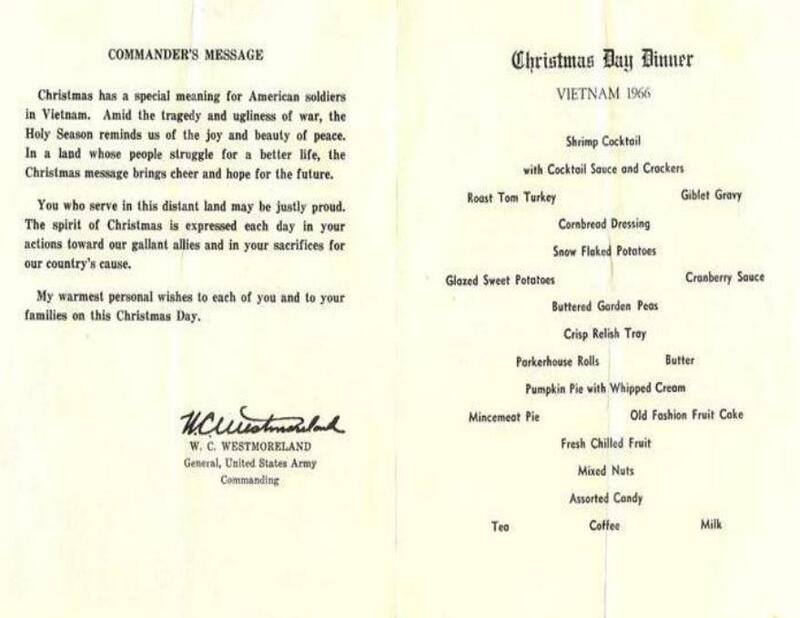 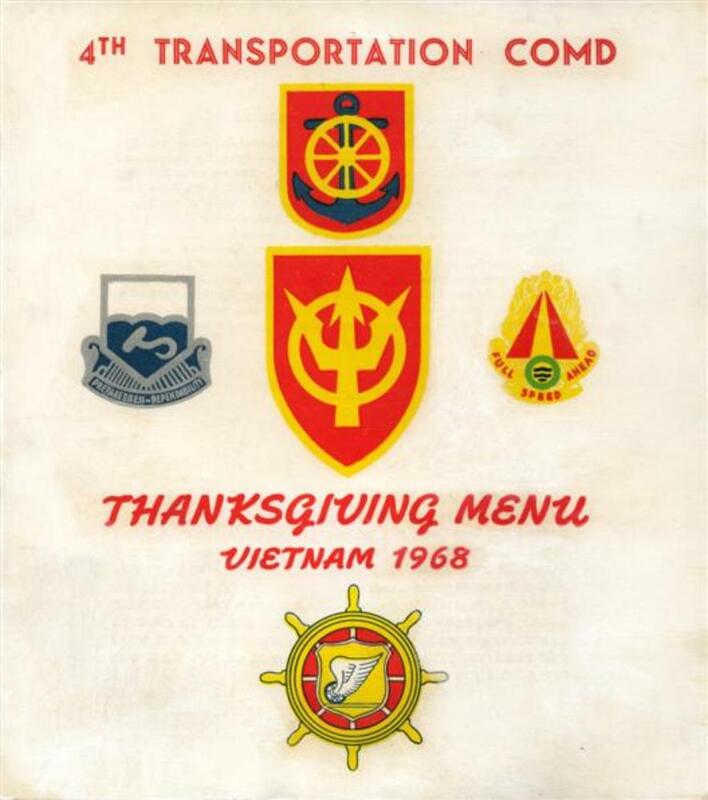 Below are the 1968 Christmas and Thanksgiving menus from the Newport Terminal mess hall supplied by the 4th Transportation Command. 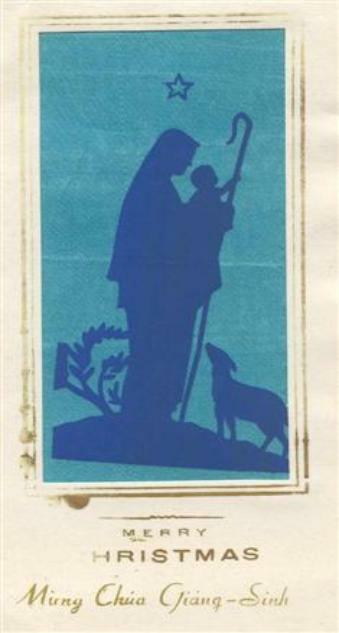 Remember Johnny Grant's Small World Post Office? 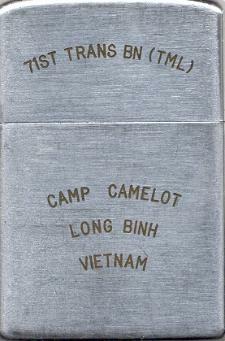 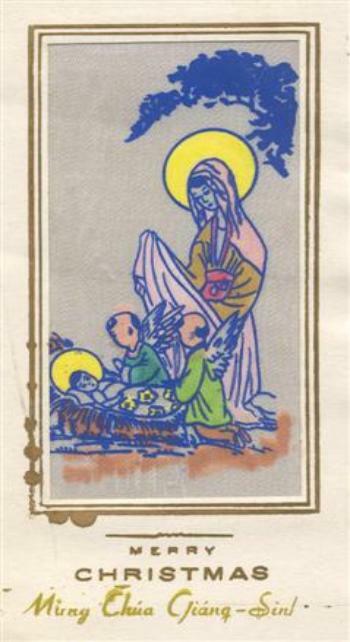 Below are four cards I scanned from the original ones that Al Krabbenhoeft had on his locker in Vietnam. 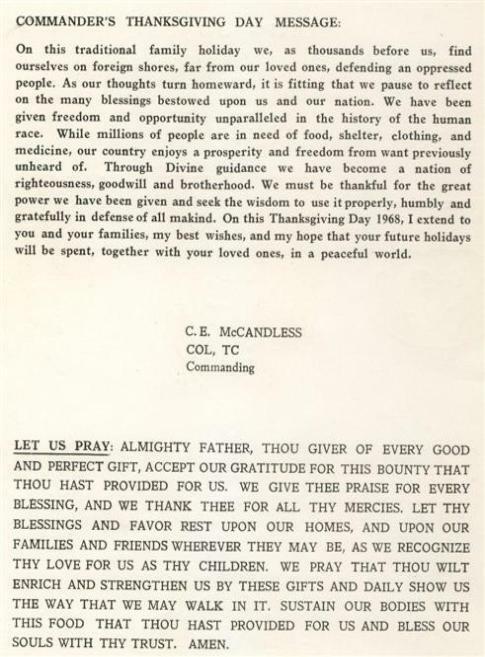 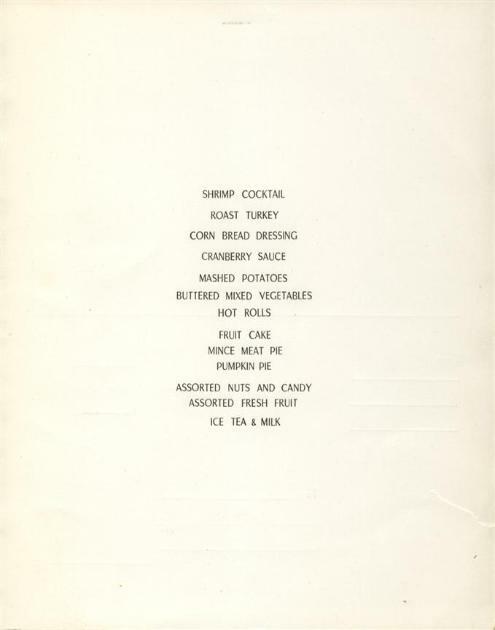 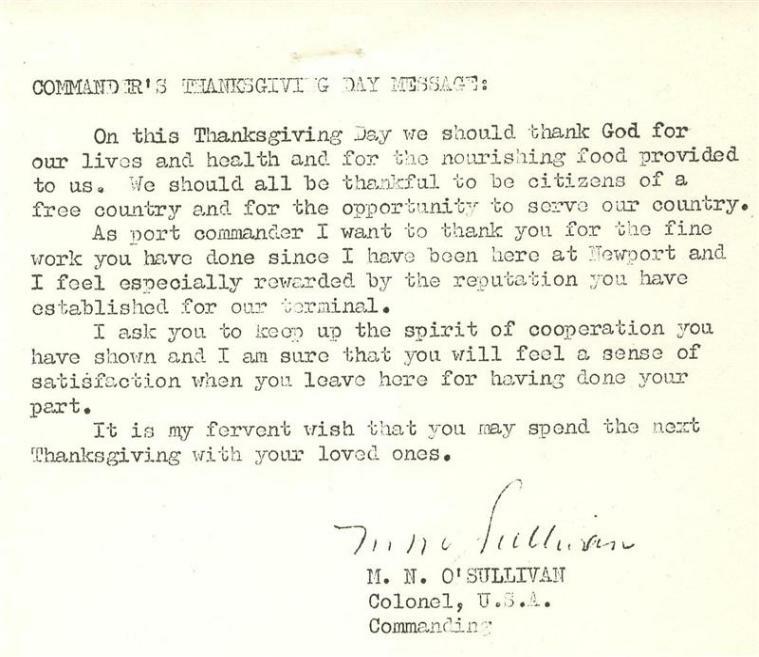 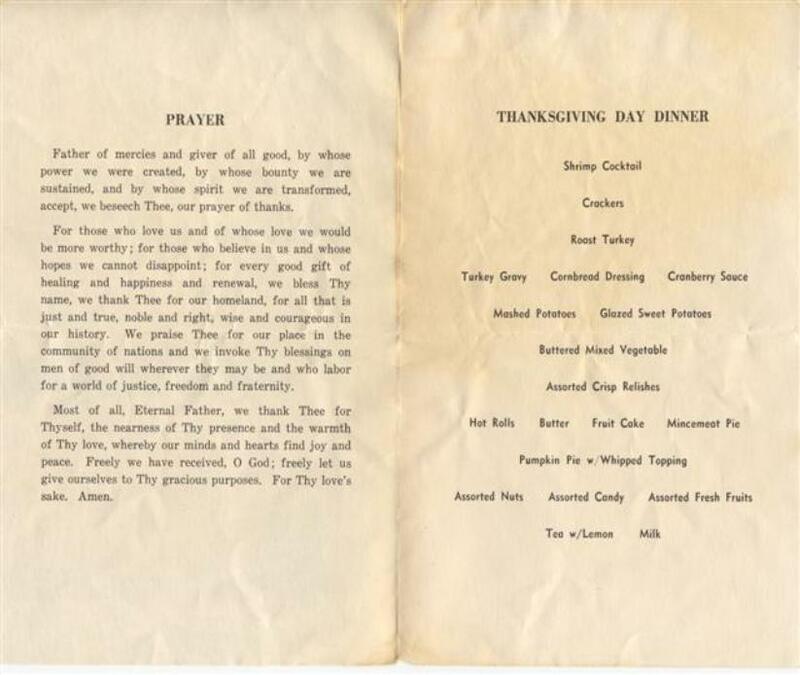 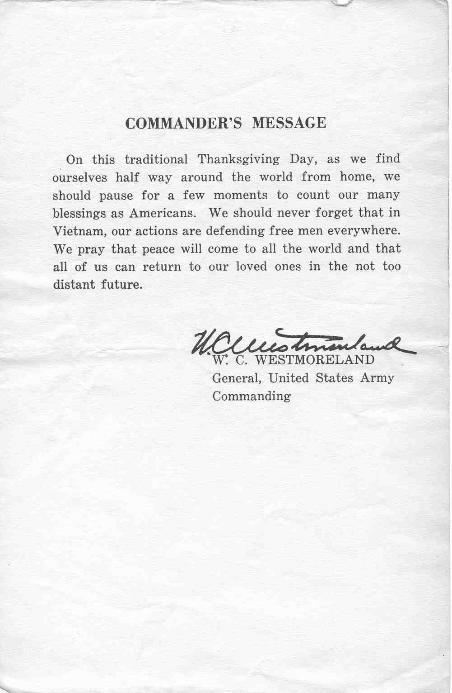 Inside The Thanksgiving Menu - The Insert From The 1968 Thanksgiving Menu At Newport Terminal - Singned By The Newport Commanding Officer - Note that by Christmas there was a change of command at Newport. 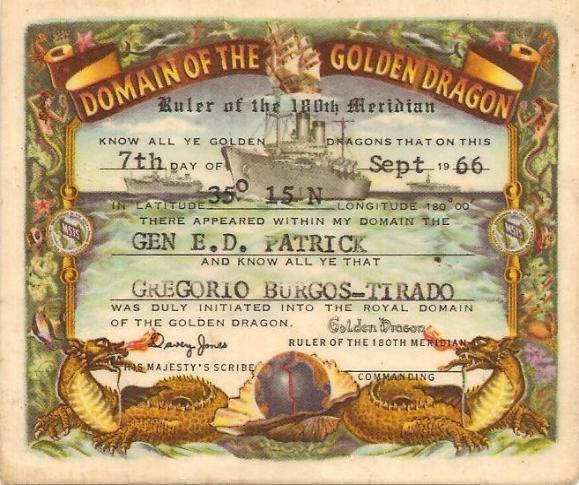 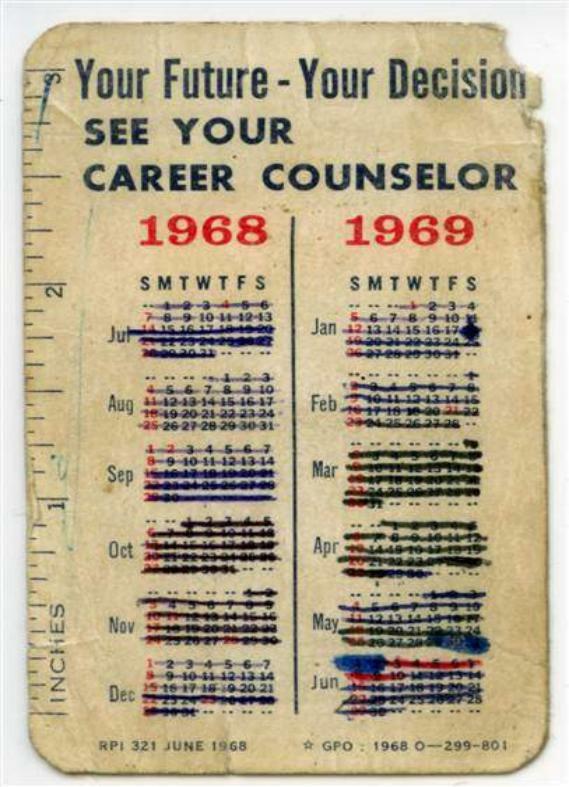 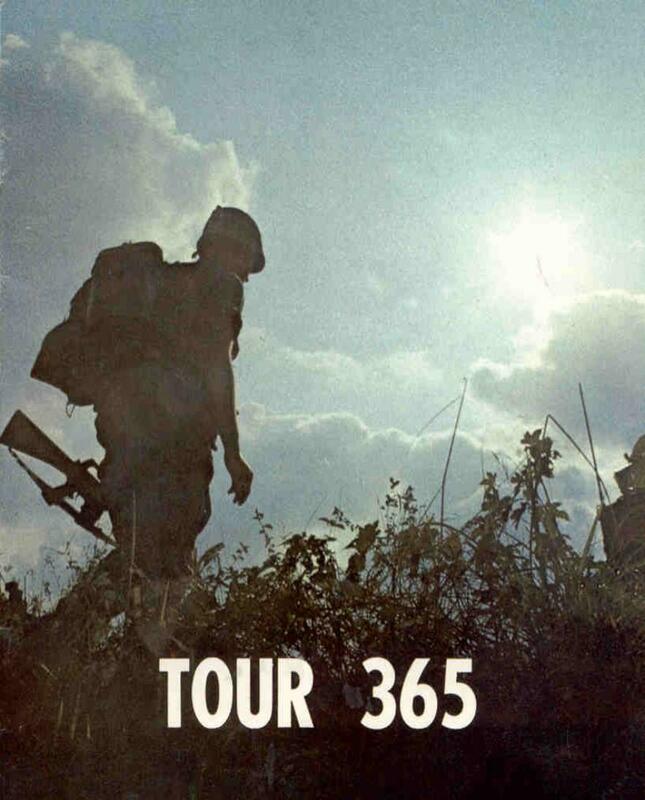 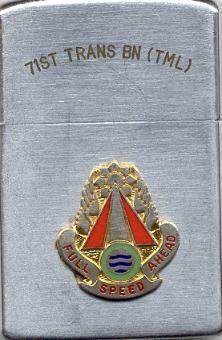 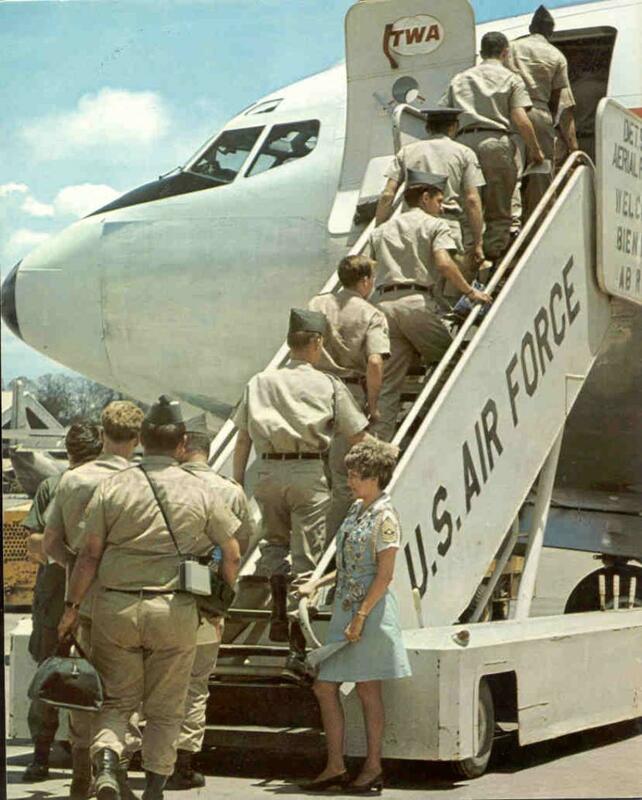 This was the departing gift from the 71st if you left about mid 1968.